﻿ Cystic Acne Or Boils Linked To Hashimoto's? The appearance of pimples, blackheads, and cystic acne is considered “normal” during the teenage years. We all suffered from those awkward moments with ugly pimples, more or less. But what if we are grown ups and inflamed pimples suddenly appear on our face, or any part of the body with hair growth? So what exactly is cystic acne? The hair in the hair shaft is clogged up with the oily secretion called sebum. Sebum causes blockage of the pores, which also can lead to infections. The infection is nothing else but an accumulation of blood cells rushing in to fight bacteria. Hormone imbalances, especially high testosterone, cause an increase in oil production in the skin. PCOS (polycystic ovary syndrome) can cause acne. PCOS in an indirect cause of acne. The hormone insulin, as you all know, helps to deliver blood sugar into the cells. Insulin resistance increases androgen hormone production such as DHEA and testosterone. The result is an imbalance in hormone levels which then leads to acne. Antibiotics kill bacteria and the goal is to reduce the infection in the hair shaft. But antibiotics also kill gut bacteria and actually make matters worse. Gut bacteria are important for the digestion of food we eat, vitamin production such as vitamin K, production of antioxidants. They also fight the bad guys in the gut, mouth and everywhere we have a mucous lining. The imbalance of the beneficial and harmful bacteria in the gut is called dysbiosis. Dysbiosis causes leaky gut, food sensitivities, hormone imbalance, metabolic dysfunctions in the HPA (Hypothalamus­pituitary­adrenal) axis. Consequently the hormones are out of balance and high testosterone levels can occur. Accutane is a prescription drug which shrinks the glands that produce oil in the skin. Topical skin cleansers, such as Proactive and Exposed, dry out the skin in an effort to reduce the sebum (oil in the hair shaft) and to kill the bacteria in the skin. Is Cystic Acne Related To Hashimoto’s? Yes and No. 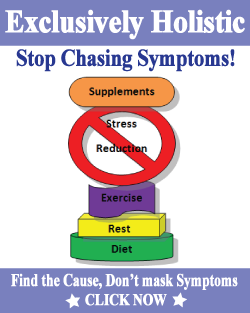 As a Functional Diagnostic Nutrition Practitioner, I look for underlying causes of symptoms. 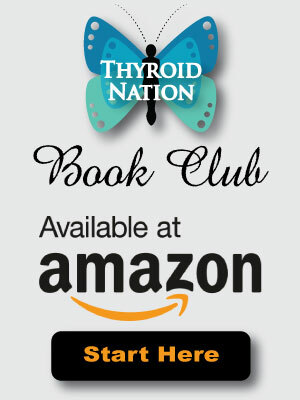 When we find out that our immune system is attacking our own body, as it is the case with Hashimoto’s attacking the thyroid tissue, we need to dig deeper. We can find out with a gene test if we have a genetic predisposition and what is causing to pull the trigger, so to speak, for the body to attack itself. 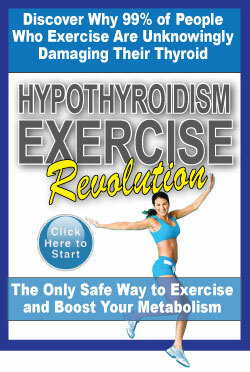 Stress on the body causes Metabolic Dysfunction of the HPA and HPT(Hypothalamus­Pituitary-Adrenal and HP Thyroid) axis. In other words, the hormone regulation is out of balance. The balance can be found in Cortisol / DHEA ratio, or Testosterone/Estrogen ratio for example. In order to find out the cause of HPA and HPT axis dysfunction we need to find the stressors for each individual. all play a role in insulin resistance. When we have hypothyroidism we can develop low progesterone – this is where the acne connection comes in. In many cases low progesterone levels leads to cyclic acne, cystic acne and PMS. Find out your food sensitivities. External stress reduction in the form of meditation, turning off the internet connection at night. Internal stress reduction: find out if you have a virus or parasite infection. Find out if your body is able to detoxify your liver and cells in the body on a regular basis. Fran Kerr suggests “a hair mineral test to check in with your thyroid health, and a progesterone treatment if the results show some level of hypothyroidism. It just may be the answer to your chronic acne”. As you can see, it is possible that Hashimoto’s Thyroiditis could indirectly cause Cystic Acne, but not everyone who has Hashi’s will develop acne. When we experience a new symptom, whether it is fatigue or acne, we always need to look deeper for underlying causes. Those causes are different for each and every one of us. 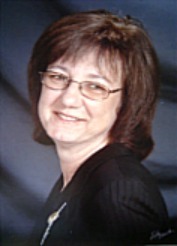 Linda Wilbert – Stewart, FDN, HHP is a Certified Functional Diagnostic Practitioner and Certified Holistic Health Practitioner with diplomas from the Natural Healing College. She is a Certified Health Coach from Beyond Organic University. She took classes in Functional Blood Chemistry. Module one and two MTHFR, Methylation & Biochemistry master course. She graduated in Germany as an Occupational Therapist in 1988. Linda uses functional diagnostic lab tests to find underlying causes of symptoms. Check out her website, ExclusivelyHolistic.com to get a Free Health Consultation and get her Free EBook, here. Please be sure to follow her on Facebook. Questions or anything to add about cystic acne? We want your thoughts, please. You might just help someone else in need. -Med Electron Microsc. 2001 Mar;34(1):29­40. Pathogenesis of acne. Toyoda M1, Hiroshima M.Clin Dermatol. 2015 Sep­Oct;33(5):572­8. doi: 10.1016/j.clindermatol.2015.05.010. Epub 2015 May 27. Acne­ a potential skin marker of internal disease. Pace JL1.